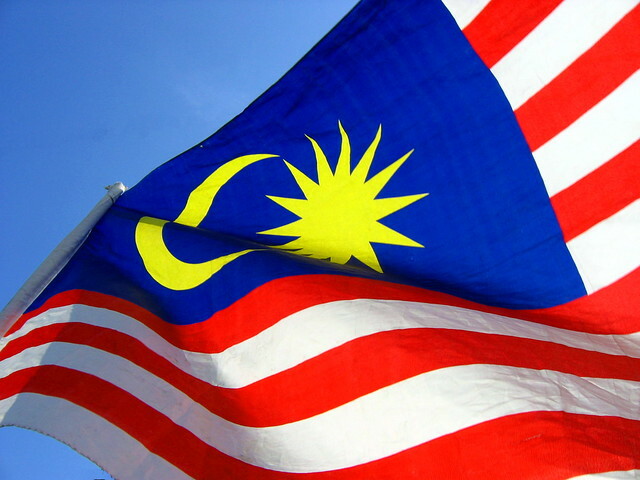 Malaysia's Flag | Flickr - Photo Sharing! To commemorate Malaysia's 49th anniversary of independence. guochai, Sharizal Shaarani, and 23 other people added this photo to their favorites. It's been a year since. MERDEKA! 31st August 1957.
hi ET... can i use this image for a logo for a website.. credit will go to you.. so far its a non profit... but if and when we do go commercial maybe we can rediscuss hehe? As requested by you, the link above is to the photo Malaysia's Flag which you wanted to use as a logo for a website. Sure, I will be delighted to have the photo used as long as you'll credit me for the photo as agreed. And may I have the link to the website which you're going to used it? And yes, if you do go commercial, we can rediscussed the issue. I have used your image for my blog deathofkalel.blogspot.com/ and credit given to you. Thank you for such lovely and meaningful photo. I'm proud to be Malaysian. Nice flag shot, can i used it on my client website? will overlay a "Image courtesy of your name" text on it. Not a problem Syahr-El and ahsham. You're free to use the image as long as it is not used for commercial purposes (making a profit for your benefit). Thank you for the awesome picture! It is a powerful shot you got there. We are a couple of guys who like to talk about the local telco industry and the iPhone 3G. We would just like to inform you that we are using one of your pictures as part of our petition campaign to bring the iPhone 3G in Malaysia officially. And please do let us know if you have your own blog so that we can include you in our blogroll. Once again thank you for sharing your photos. Feel free to contact us if you have any questions. Thanks soyacincau. Glad you like it! hi mr teoh. nice shot of the flag. used it in my blog too, with much adoration. thanks. Not a problem et~cetera! Glad you liked it! Hie! I'd love to use your photo for my blog (freeeverse.xanga.com). I will credit you for it, of course :) Thank you! hey, i would love to use your lovely photo on my blog (sengaik.blogspot.com) with credit for u...thanks! Not a problem at all addykelly and aikzzz. Glad you all liked the photo. Can i use your photo Malaysia Flaq as a cover for one of my book.? Please let me know if there are any terms and conditions. I have replied you by email.